As a niche logistics services provider of LTL Freight Management via a transportation management system and integrated services, Cerasis is well equipped to teach the shippers about effective LTL freight management in this educational webinar. 95% of the business of Cerasis, a third party logistics company, is done through Less-Than-Truckload (LTL) shipments. In fact, our transportation management software, the Cerasis Rater, handled 300,000 LTL freight shipments in 2013. Cerasis Inc. announces the educational webinar titled "Best Practices in Effective LTL Freight Management," which you can register for here on March 12, 2014 at 10 AM CST. "95% of the business of Cerasis, a third party logistics company, is done through Less-Than-Truckload (LTL) shipments. In fact, our transportation management software, the Cerasis Rater, handled 300,000 LTL freight shipments in 2013, and we audited every single one of them," said Audra Wiste, Customer Services Manager. "So it is of special interest for us to help educate shippers on all modes of possible ways to ship their freight in order for shippers to make the best decisions for their business." How BIG Is the World Of LTL Freight Shipping and How Do Shippers with 3PLs Faire? 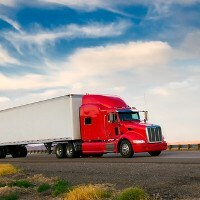 The amount of LTL freight moved under blanket-pricing programs by brokers has grown from $575 million in 2007 to $2.5 billion in 2012, according to data compiled by CarrierDirect LLC, a Chicago-based firm that specializes in helping freight carriers find freight from brokers and 3PLs. The overall size of the LTL market during the same time period actually shrank from an estimated $36 billion in 2007 to $33 billion in 2012, company officials said. This success is seen from many Cerasis customers, as the third party logistics provider focuses on not only servicing shippers in LTL freight management, but also proactively educating shippers on the best practices related to LTL freight shipping. If you are a shipper of LTL freight in North America, we invite you to register and attend our educational webinar titled, “Best Practices for Less Than Truckload Freight Shipping” presented on March 12th, at 10:30 am CST. You can register by clicking at this registration link here. There is a lot to keep up with if you are shipping by LTL freight, and education and expertise is the key to success in maintaining control and visibility of your LTL freight. What is LTL Shipping (Less-Than-Truckload) and how did it Come About? If you are interested in attending, please make sure you register using the link here.